It has been a while since I last put up a manual, mainly because I only have non-English ones; they are all in German or French. It seemed hardly worth it since most of my readers are English speakers. 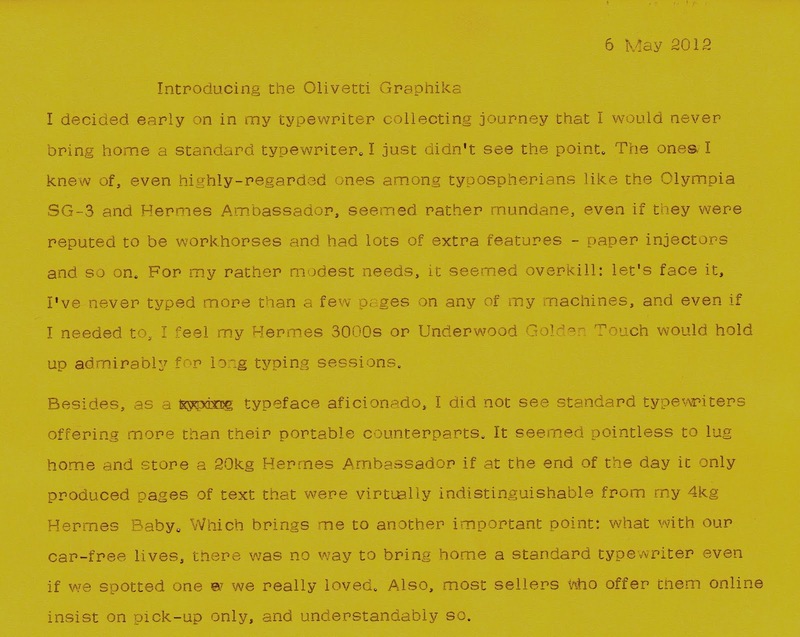 Also, most typewriters are fairly straightforward to use and I suppose I have gotten used to finding my way around them without ever referring to the manuals (many of the ones I find come without, as well). 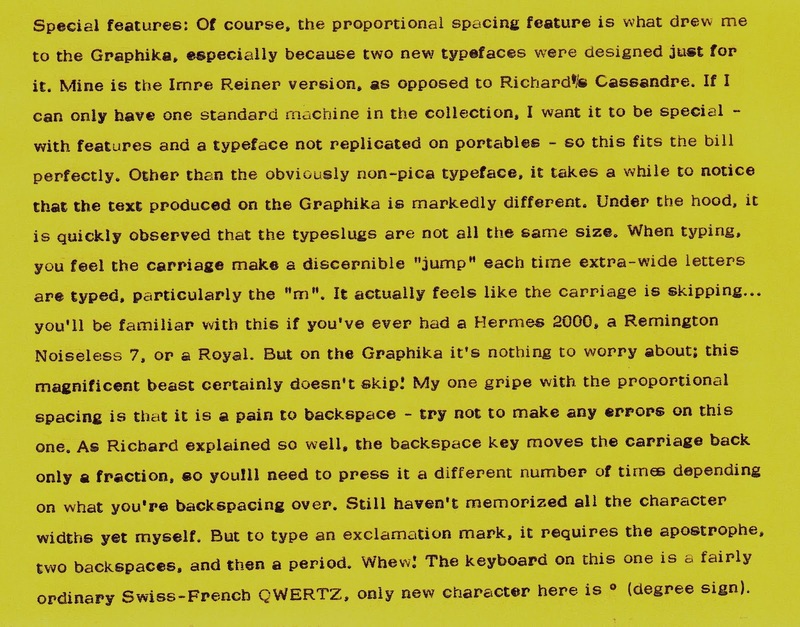 Still, I have benefited greatly from other manuals posted online - what would I have done without Alan Seaver's Remington Portable and Noiseless manuals, without which I was at a loss to even unlock the carriage? I still need to refer to those occasionally - sometimes I take out a machine I haven't used in a while and discover that in the meantime I have forgotten how these little functions work, since they vary from one maker to the other. These days, having acquired a couple of sewing machines, I have a whole new appreciation for how crucial the user manual can be to getting the most out of any machine! 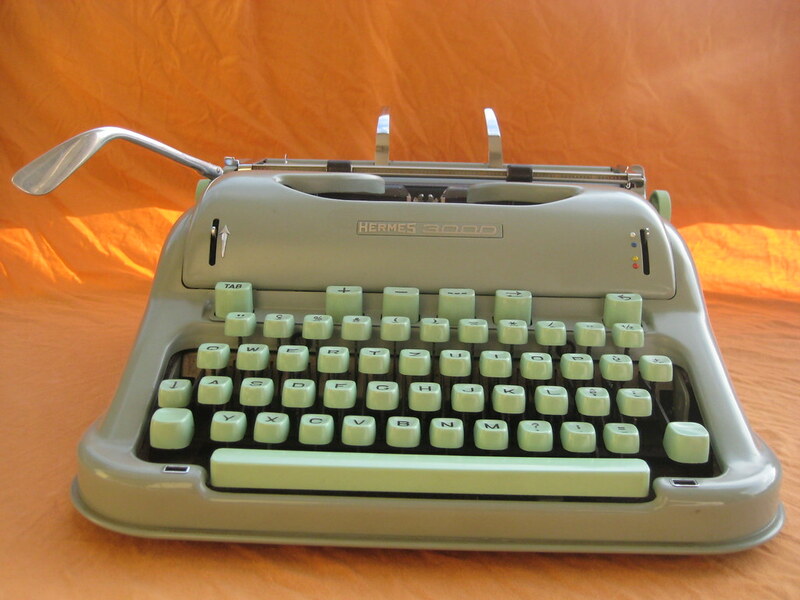 First sighting: a Hermes Standard 8. Right next to it, this Facit 1620. 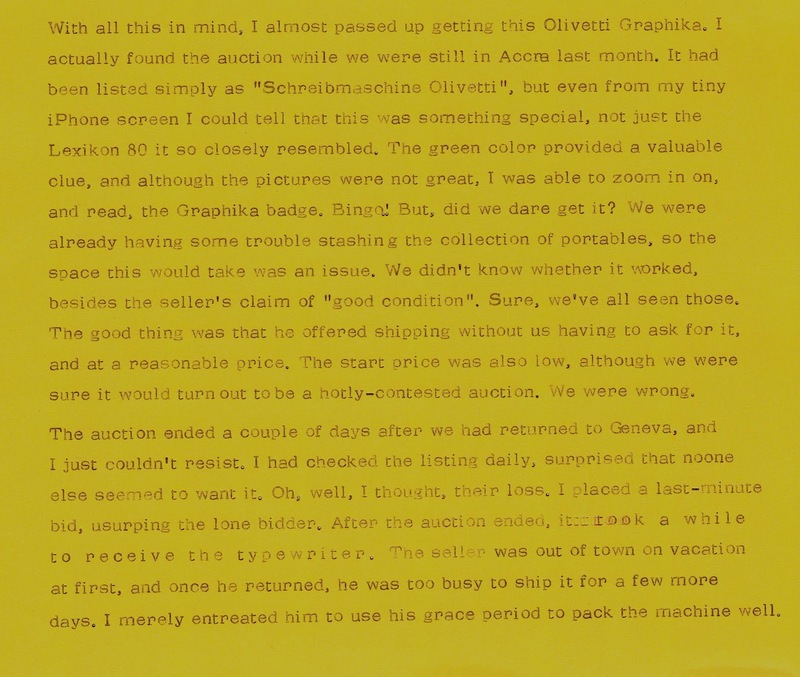 There were several machines and none of them particularly special or appealing, so I didn't bother to test any. 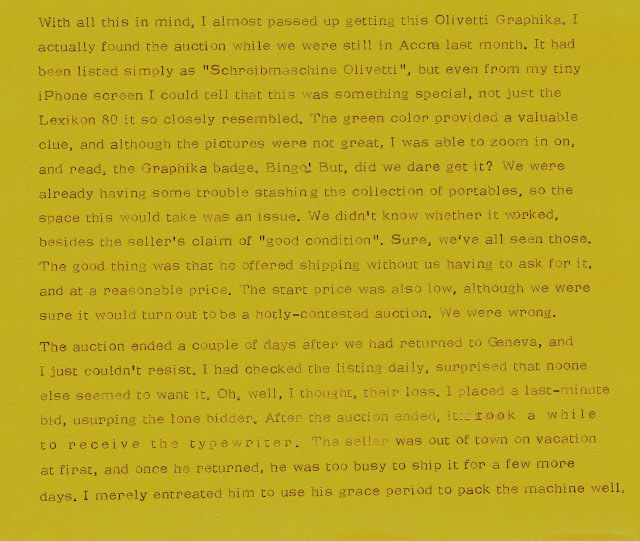 Some already had typing samples due to curious customers playing with them, like this techno pica Adler Gabriele. 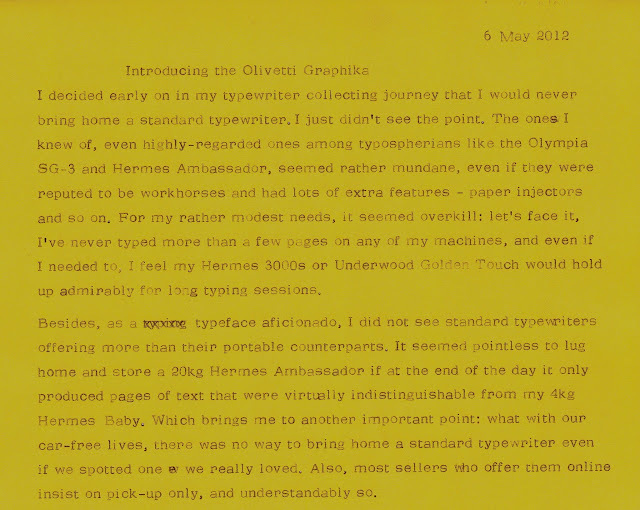 An Olympia Monica (SM-8)... but that case was most definitely for an Optima Elite originally! 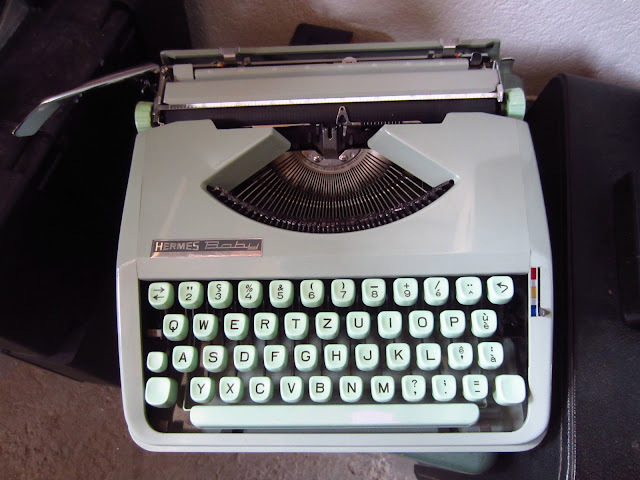 Another Olympia SM-8; the later generation. Something different, for a change, an American-made Royal Quiet de Luxe with tombstone keys. Nice. Another American, an Underwood Champion that had been shoved under a table and was consequently difficult to photograph. 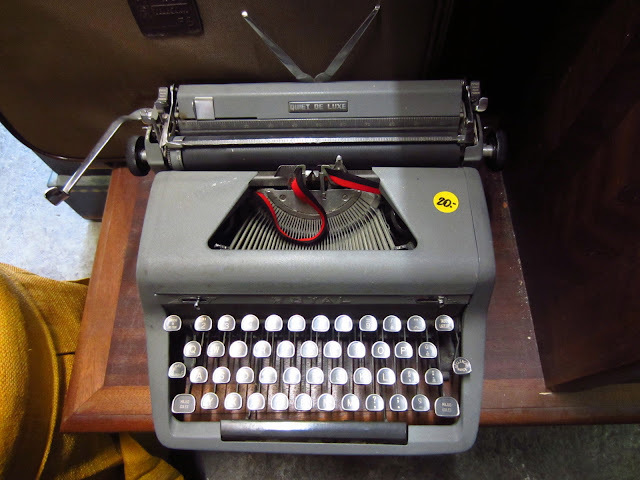 American in name but perhaps not in manufacture - a Remington Envoy. The sewing machine/ typewriter corner, with a couple of machines I didn't bother to drag out and examine - an Olivetti Lettera 35 (second from left), and a red Brother portable that was firmly stuck in its case. A whirlwind tour, but a nice thrift store and certainly one we'll be putting on the list to hit up a couple of times a year from now on. I doubt the stock changes much, since it is open so rarely I bet they don't move much of anything, but I won't know for sure without visiting again in a few months. 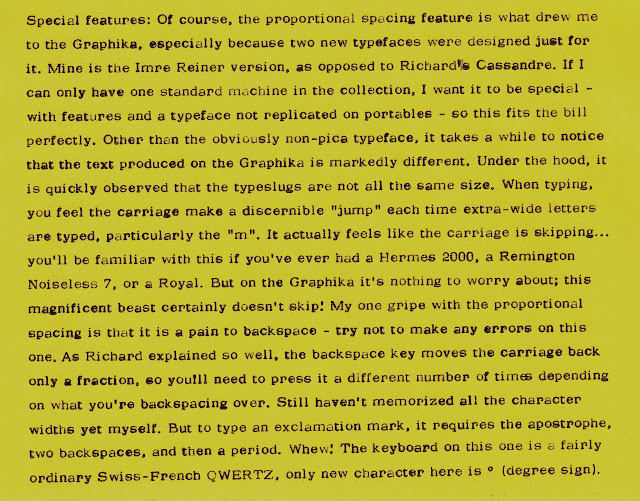 As you can see, while the Swissa crowds more letters onto a line, thus boosting their cpi count, the Remington is wider-spaced and it looks like the characters might even be smaller. Graphika basking in the morning sun - not a great shot, what with all the shadows, but I wanted to show how closely the side profile resembles a Studio 44. Not as clean as it should be - we've been keeping the cleaning to a minimum here - it all works very well, so no need to do too much - but I shall confront this with toothpicks if it gets worse (I did do a bit of tidying up after taking this shot, though!). Serial number is engraved next to the right ribbon holder. Seeing this, and realizing it wasn't all that huge, actually made me appreciate how large the Studio 44 was! 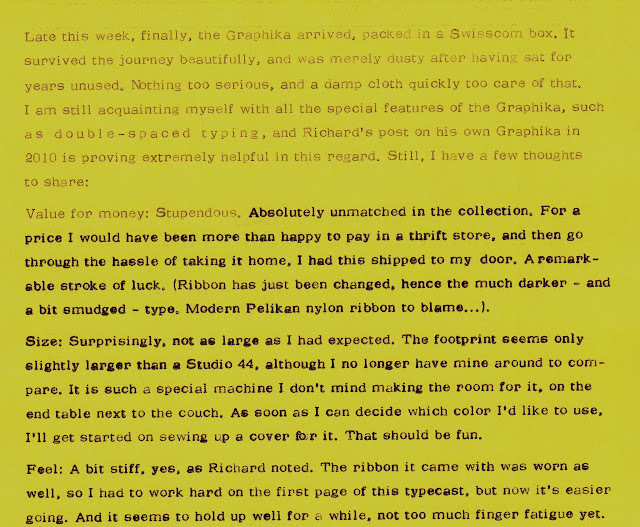 The character spacing lever is right next to the ribbon color selector. Quite handy. The ridging on the back is reminiscent of the Lettera 32. The keyboard, also quite similar to the Studio 44's. 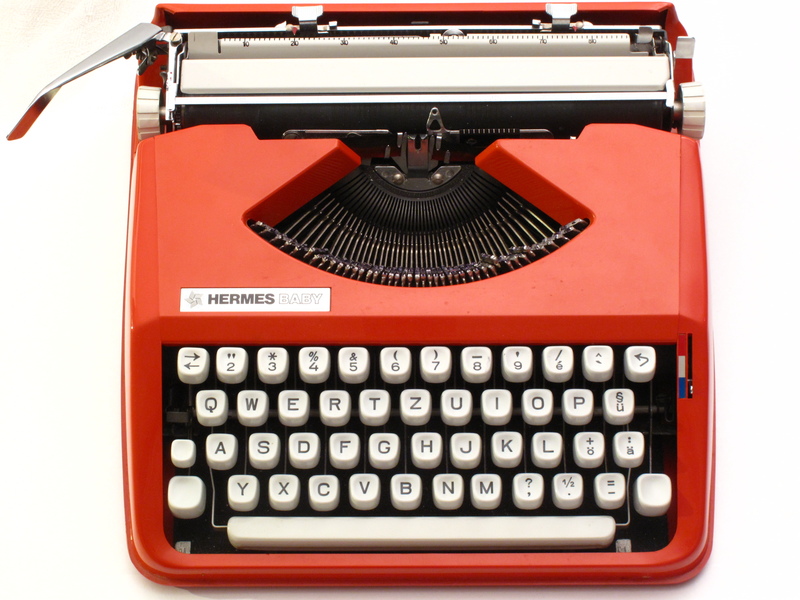 The Swiss-French keyboard, with degree sign on the 1 key. 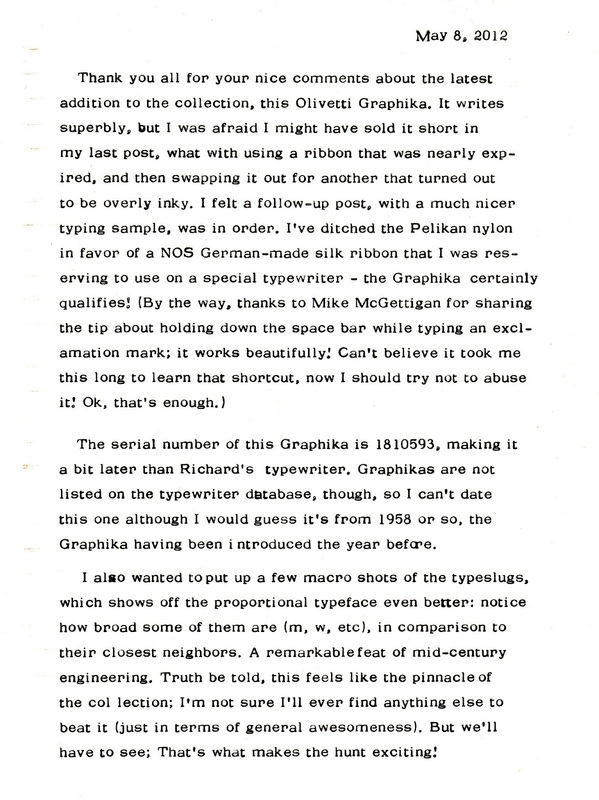 Here is a link to Richard's write-up on his own Graphika, as well as the computer fonts he created from his own Graphika's Cassandre typeface and the Imre Reiner typeface that's on my Graphika. Packed and ready to travel! *If Michael declines or does not answer either way within a week, offer becomes open to all. I would love it if whoever receives this gave us updates on their repair attempt! 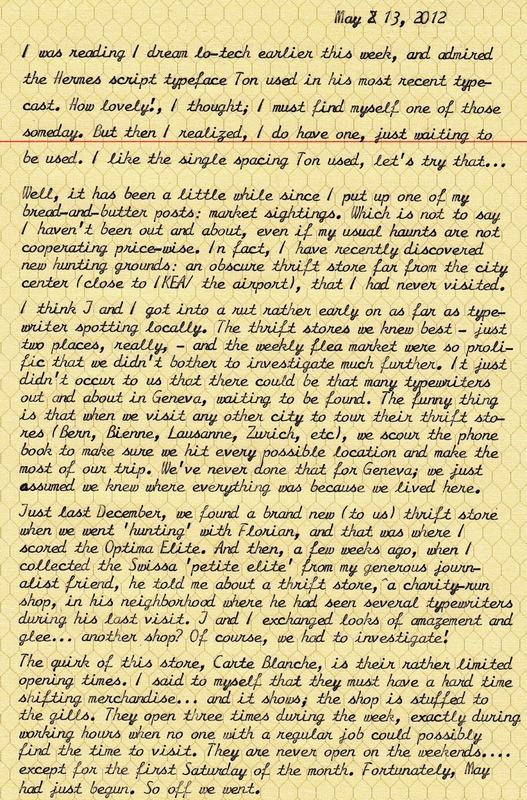 Explanation from J - hopefully it makes things clearer? Valentine as of this morning - it will need new ribbon covers, but we've put in spacers so it works as is. 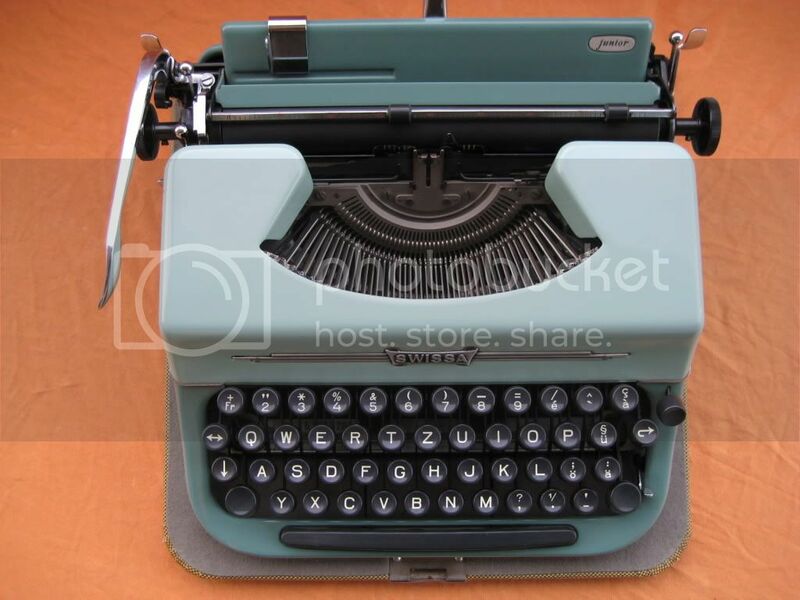 Any Olivetti ribbon nut will also work. Otherwise, all parts are intact - including the ball bearings and retainer we unsuccessfully tried to install. 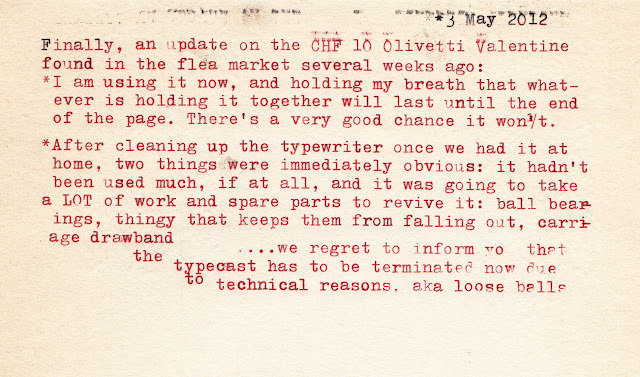 You may remember this post, in which I gleefully described the acquisition of an Olivetti Valentine for only CHF 10. I didn't need one, and this one was not in working condition anyway, but all the parts seemed to be intact and we decided it would make for a good project: fine if it worked, but fine if not. After all, the various spare parts alone would be worth more than what we paid for it. 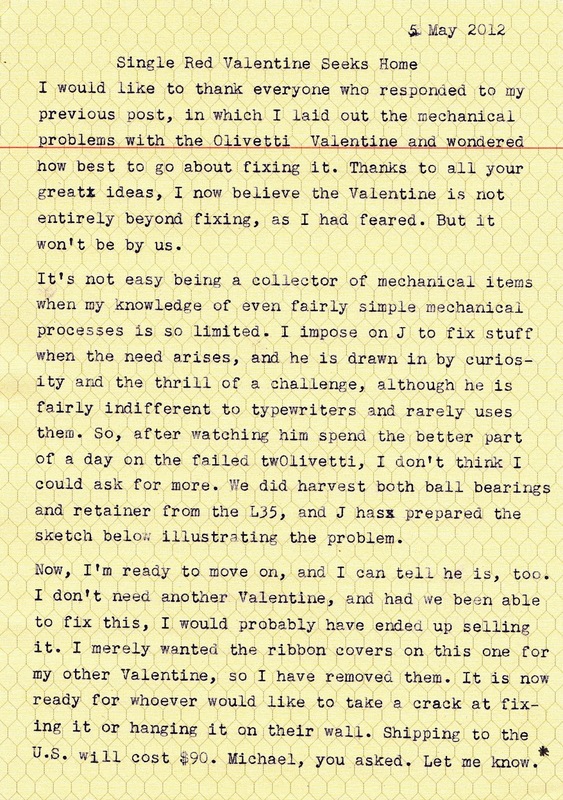 This weekend, J set to work taking the Valentine apart and tinkering with it. 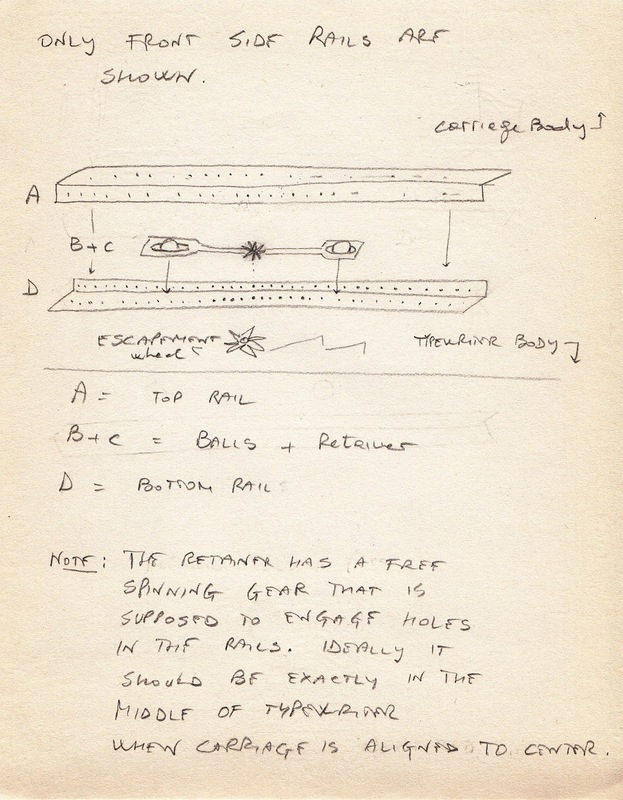 The biggest problem was the carriage: it was clean off its rails when we got it, and it soon became clear that we would have to replace the ball bearings (7/8 inch is the right size), find the thingamabob that retained the ball bearings in the carriage, and wind on a new carriage drawband. The first and third items might have been easy to find, but the ball bearing retainer seemed impossible to hack. So we acquired a donor machine cheaply - a Yugoslavia-made Olivetti Lettera 35 that was missing its ribbon cover. And then J took the carriage off that as well and proceeded to reassemble the Valentine with the new parts. When he decided he'd just about had it, I took the Valentine for a spin, to see if I could eke out a typecast. As you can see, I didn't get very far before the carriage started teetering precariously on the rails, refusing to advance or in any way glide as it should. The balls had come loose. There was much wailing and gnashing of teeth, as hours of work were suddenly rendered futile. So there you have it. Nice to look at, to be sure, but utterly useless to write with. I'm sure there has to be some way to salvage it: technically, all the parts are there, but we must be doing it wrong. 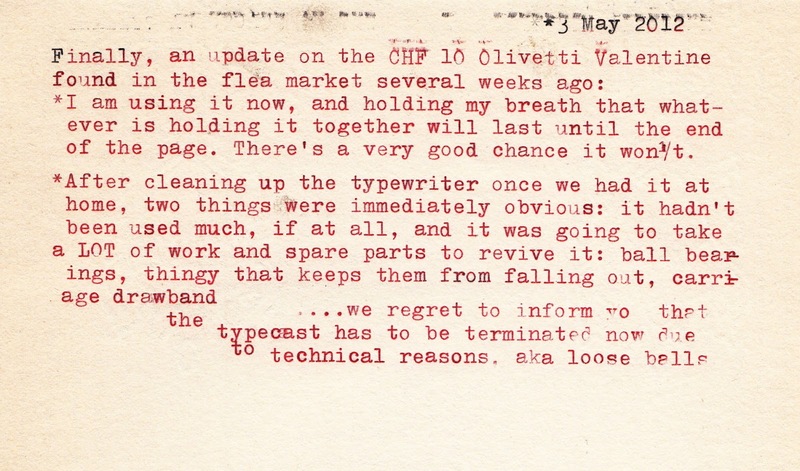 Anyone who has ever taken off and put back an Olivetti carriage have any tips for us? In what order do the parts go back in? 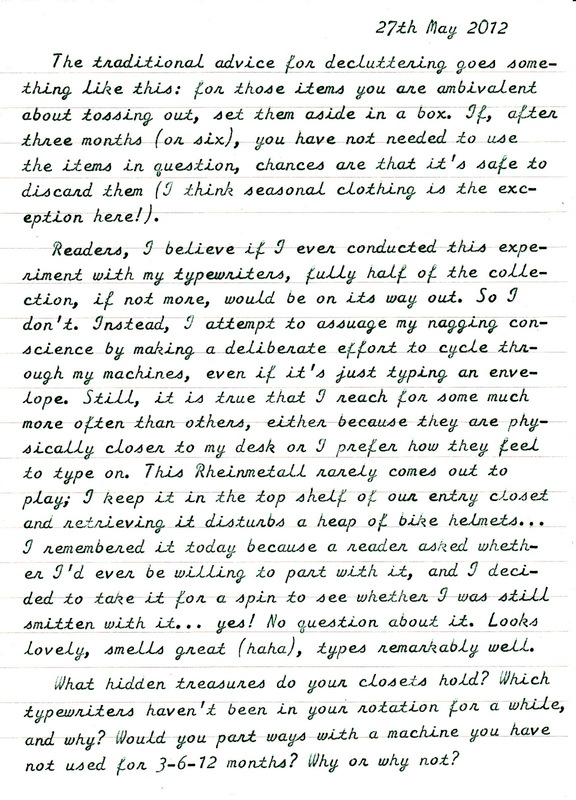 How does one keep the ball bearings safely in place, not having them spill out with each carriage return? Any videos/ pictures/ tutorials we could look at for help?